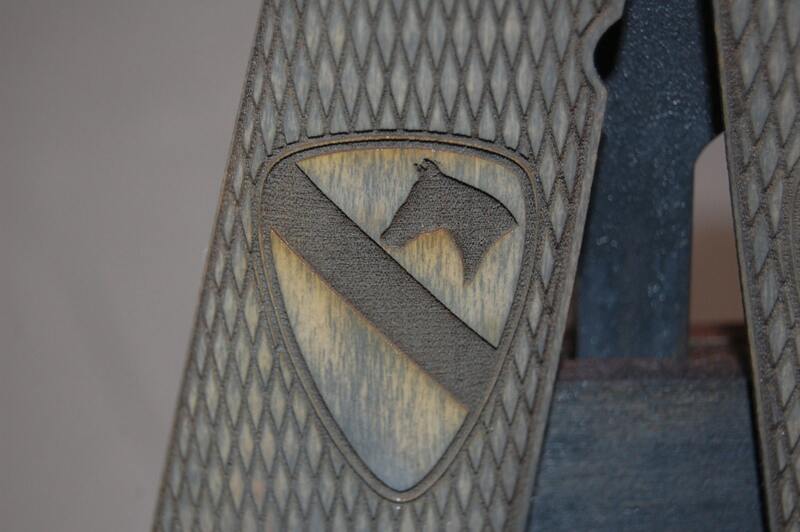 This is a set of 1911 grips made out of Poplar. 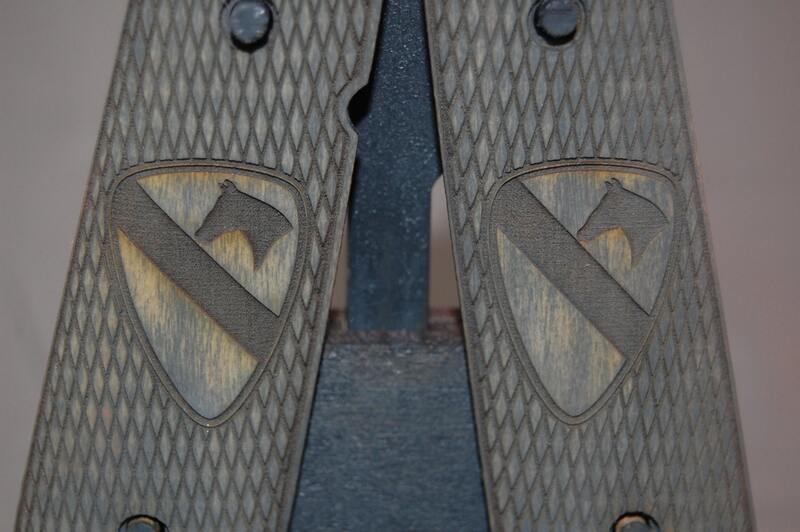 They are engraved with the 1st Cavalry logo on top of a diamond background. 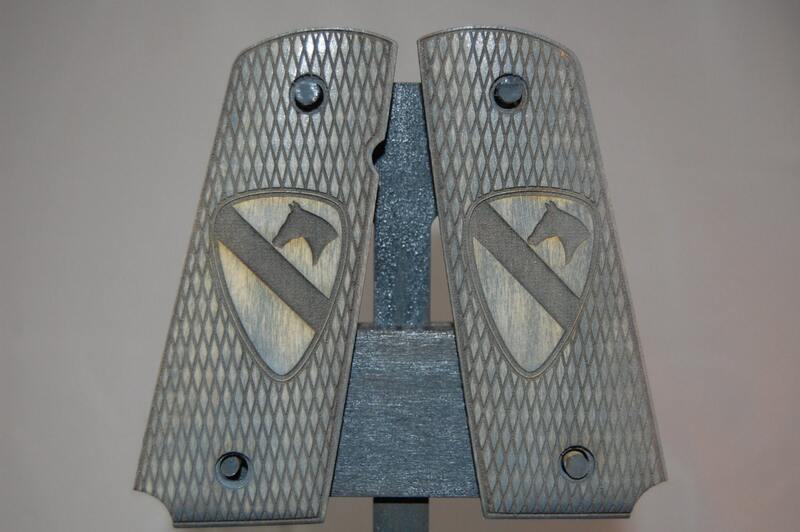 The ones in the pictures have the Weathered finish, but you can choose any of the listed finishes for yours. They have been test fitted on a Colt, Springfield, and a Kimber, and should fit most any full size 1911, although a small amount of fitting may be required. 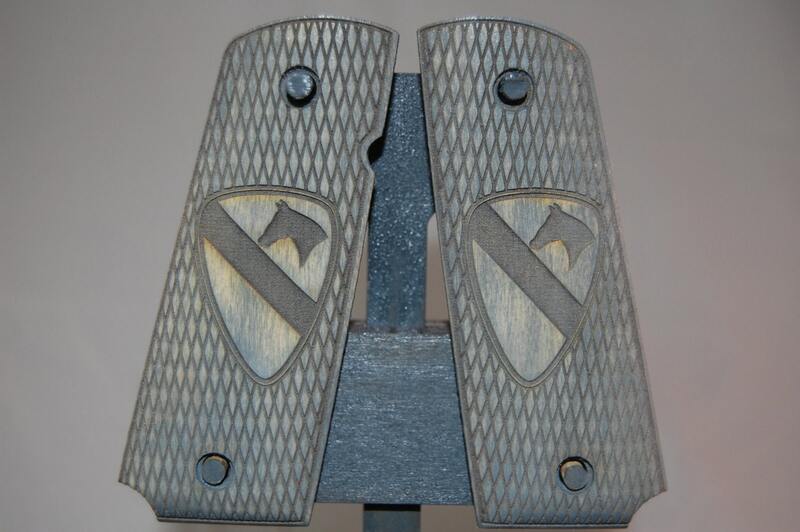 These are made to order, so if you are interested in customizing them in any way (adding a name, unit, date, doing them on a different wood, or want them for a compact 1911) please feel free to contact me before ordering.